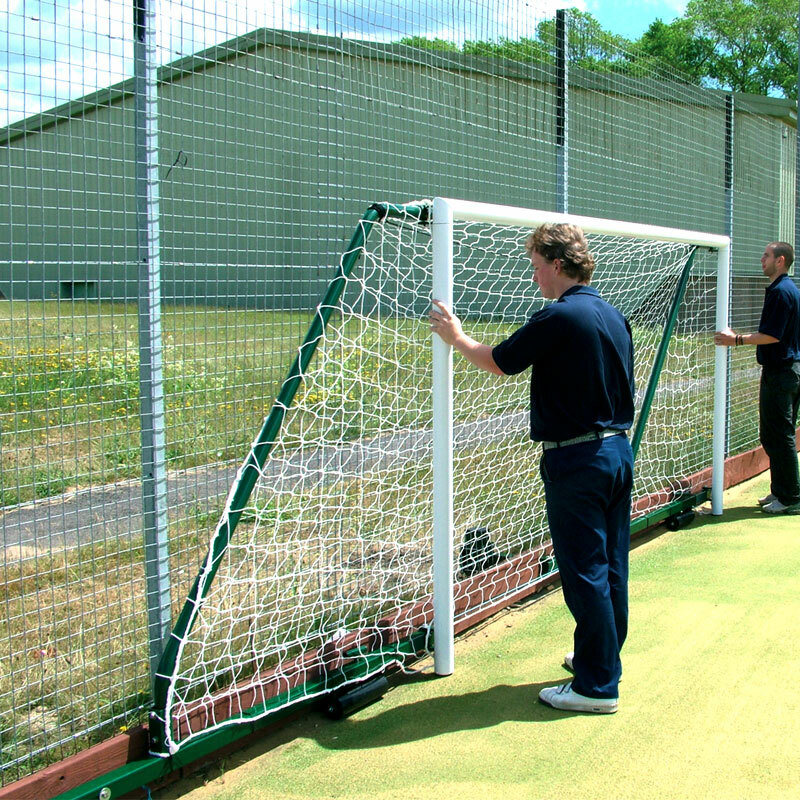 The Harrod Sport ® 7 v 7 3G Aluminium Fence Folding Football Posts 12ft x 6ft are a great solution if your football pitch area is shared with other sports. The Fence Folding Goals can be easily folded and unfolded by two adults as and when needed. 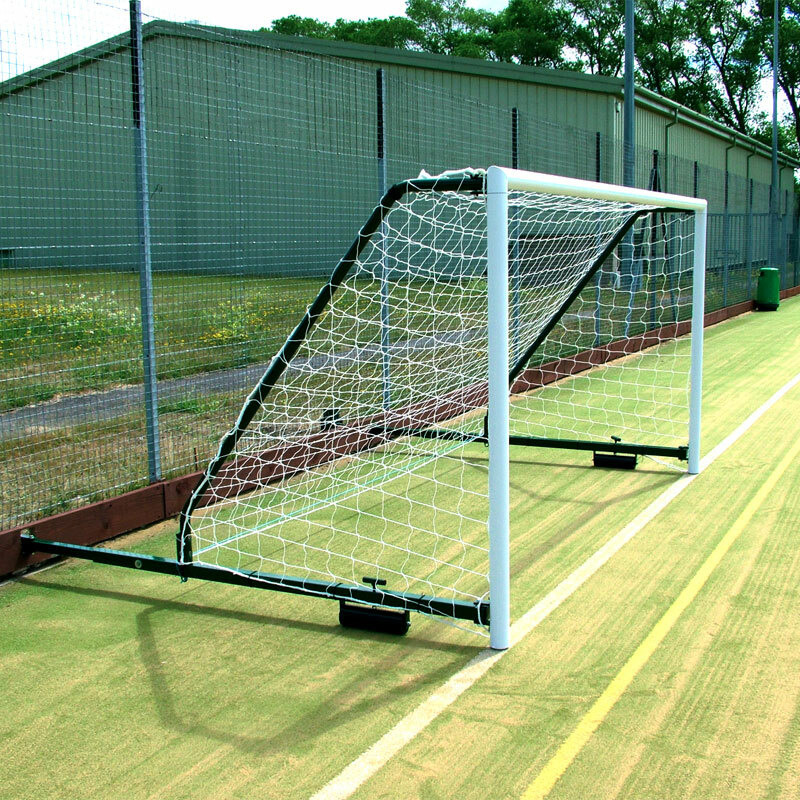 2 x Aluminium Fence Folding Goal Posts 12ft x 6ft. 4 Projection Adjusters and Sockets. Uprights & Crossbars manufactured from 80mm diameter reinforced aluminium - polyester powder coated white. Crossbars have welded corner joints for added strength and aesthetics. 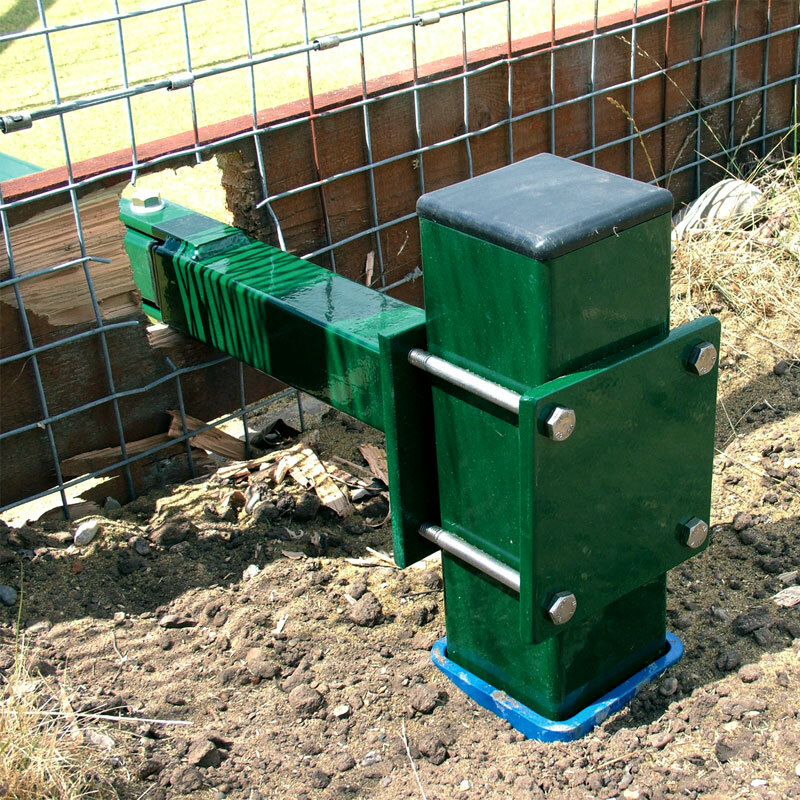 Net supports are manufactured from 50mm diameter x 2mm thick steel and polyester powder coated green. 100mm square galvanised steel support posts complete with sockets and 60mm square galvanised steel telescopic side bars. Solid PVC rollers with 'T' brake, easily folded by 2 people. 460mm deep sockets with 103mm sq. Internal measurement. Stainless steel bolts throughout and complete with lock-on synthetic net hooks. 3.66m x 1.83m (12' x 6') - 270kg per pair - 2.3m to 3.5m projection. Harrod Sport code FBL-587.